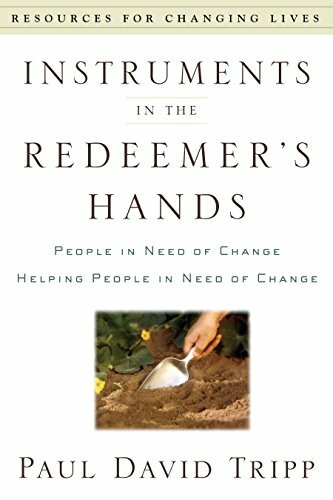 [PDF] Instruments in the Redeemer's Hands: People in Need of Change Helping People in Need of Change (Resources for Changing Lives) | Free eBooks Download - EBOOKEE! Posted on 2017-12-14, updated at 2019-02-12, by luongquocchinh. Description: In many ways, the church today has more consumers than committed participants. We see church merely as an event we attend or an organization we belong to, rather than as a calling that shapes our entire life. Many of us would be relieved if God had place dour sanctification in the hands of trained professionals, but that simply is not the biblical model. Godâ€™s plan is that through the faithful ministry of every part, the whole body will grow to maturity in Christ. Tripp explains how his work follows an "all of my people, all of the time" model. If you followed the Lord for a thousand years, you would still need the ministry of the body of Christ as much as you did the day you first believed. This need will remain until our sanctification is complete in Glory. This is a comprehensive treatment of how God uses people as tools of change in the lives of others, people who themselves are in need of change. No comments for "[PDF] Instruments in the Redeemer's Hands: People in Need of Change Helping People in Need of Change (Resources for Changing Lives)".